The core of the Quartier des spectacles occupies a large city block inhabited by cultural institutions. 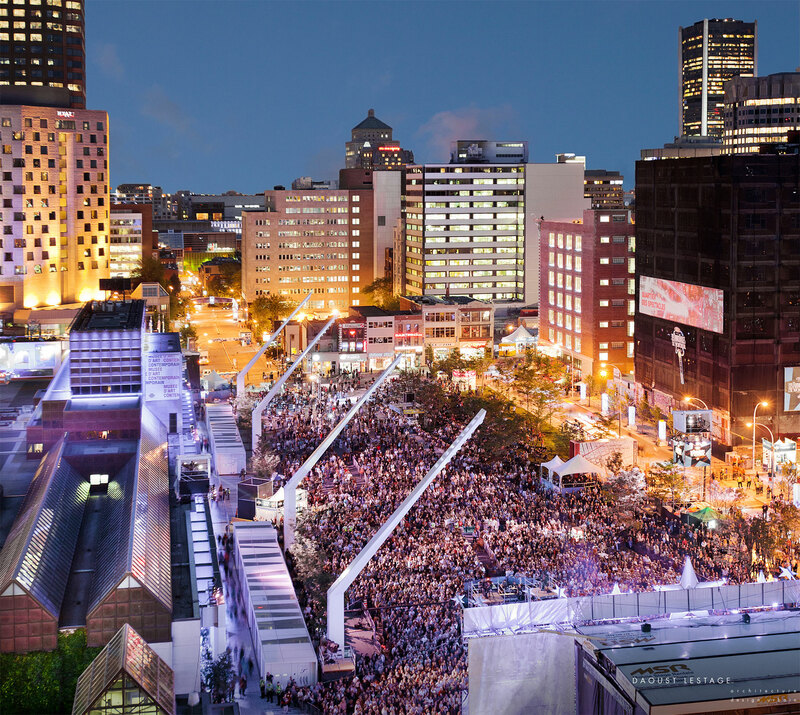 Since 2007 this once de-structured area, covered by parking lots, has been undergoing a major urban renewal, including a new network of four large outdoor stages around Place des Arts. Place des Festivals, with its interactive fountain and the Vitrines Habitées—the two glass and aluminum structures set on an enlarged sidewalk along the Musée d’art contemporain—is the first phase of the Quartier des spectacles. 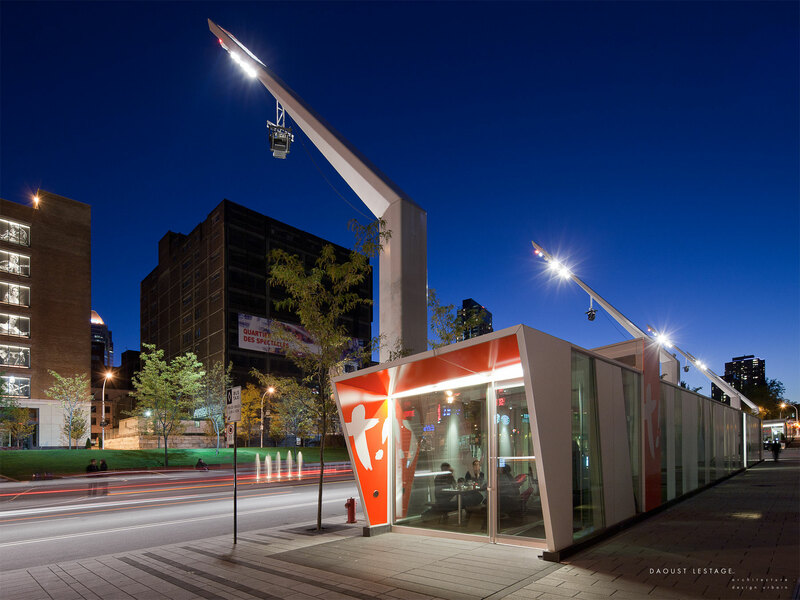 Since its delivery, the people of Montreal have claimed the space as their own, making it a true public and people’s square all year long, day and night. 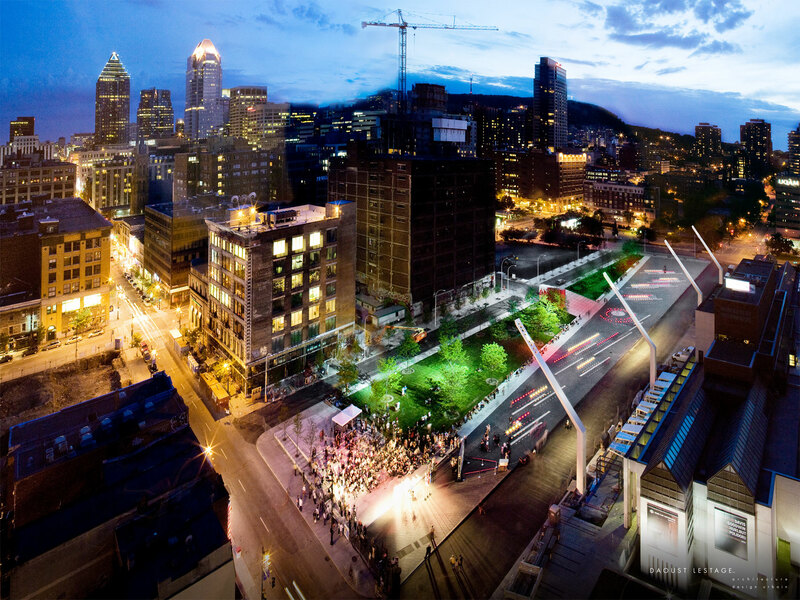 "Acting as a multivalent armature for assorted spectacles and events in the heart of Montreal, this scheme powerfully encapsulates the potential of public space by engaging with and celebrating civic life. New elements, lighting and landscaping rationalise and transform an existing nondescript square into a civilising focus for different activities. 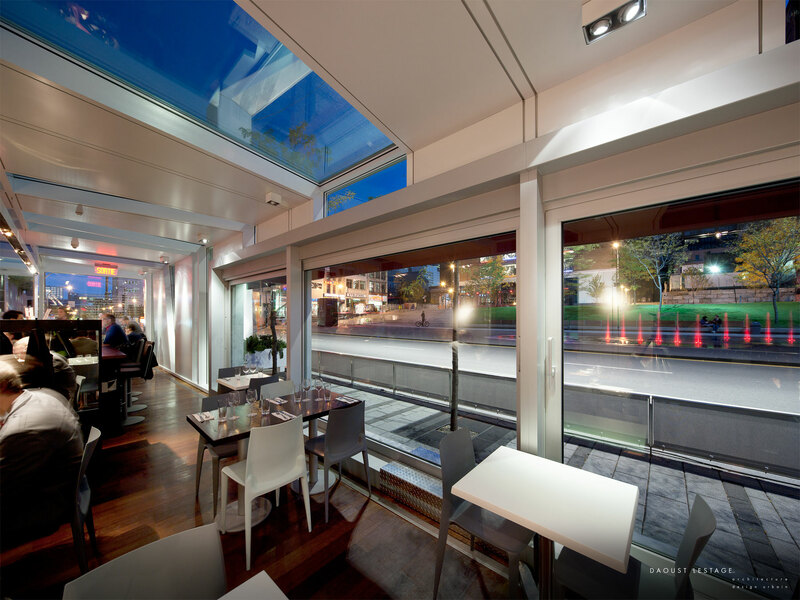 The project’s well judged sense of scale and generous urban character are an inspiring exemplar for similar developments."